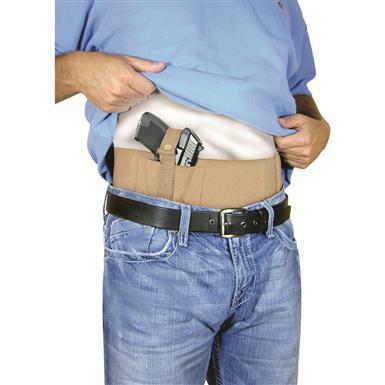 Adjusts to fit waist sizes from 28" to 34"
Stretch your idea of a holster with this Conceal Carry Belly Band. 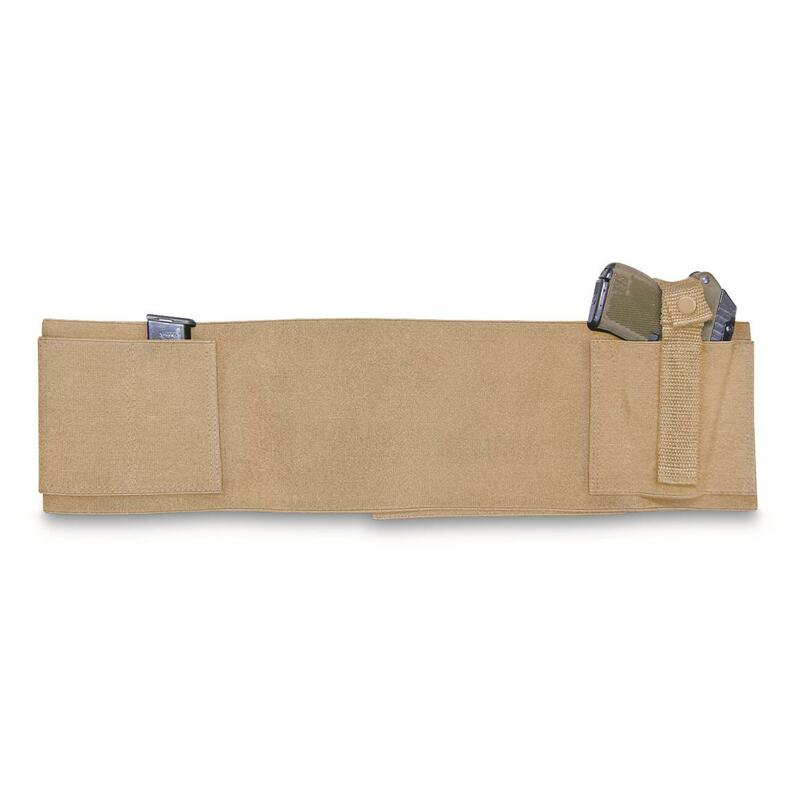 Adjustable wrap-around design for waist sizes of 28" to 34" this may be the most versatile and comfortable way to keep your handgun close. The holster pocket has a snap closure to keep your gun from riding up and will work for either a left or right hand draw. 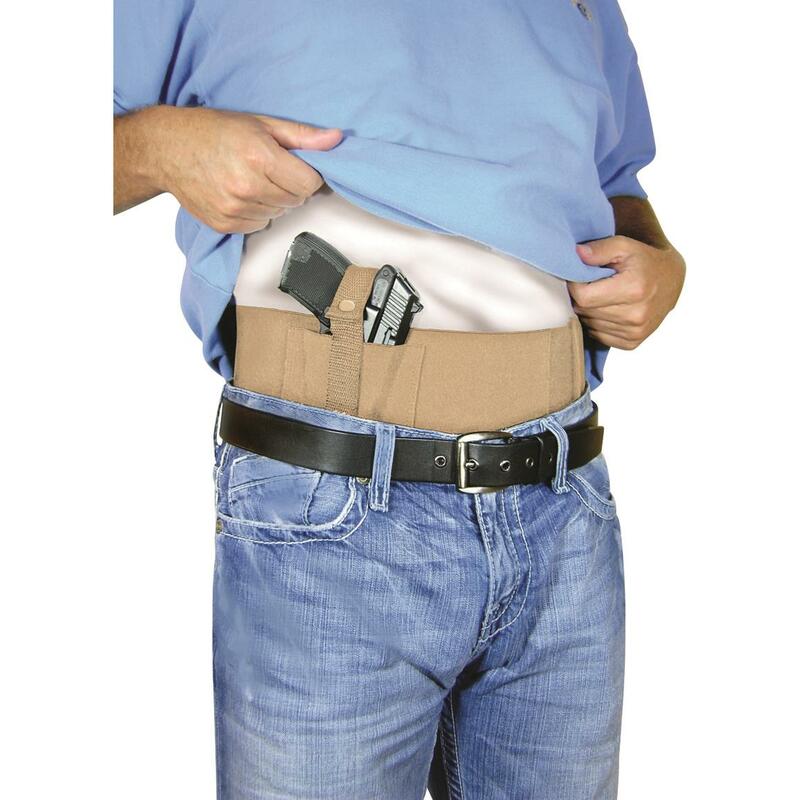 Place the holster pocket to your front, side, or back and use the other pocket to hold up to 2 extra magazines. Fits waist sizes from 28" to 34"